Companies selling CBD-infused food and beverages are currently lobbying for Food and Drug Administration (FDA) regulations. The legalization of hemp products by Congress in December is forcing the FDA to rewrite rules for most CBD products. There is a cloud of uncertainty over the emerging industry as regulations have shifted from the Drug Enforcement Administration (DEA) to the FDA. The federal government legalized CBD derived from hemp, which is not exactly marijuana but a similar plant. President Trump signed the Farm Bill into law in December, but the FDA still doesn’t recognize the products as safe. Until it gives a clear signal, companies and restaurants will be prohibited from adding it to food or drinks. Like any new industry, it is going through teething pains, so industry players are looking eagerly ahead for some regulations and control. CBD, short for cannabidiol, is derived from the cannabis plant. It is a non-psychoactive compound that allows the body to body without altering the mind. Hemp extract can include multiple cannabinoids, and CBD is just one of 100 such compounds found in the hemp plant. It is important to note that hemp-derived CBD is legal in all 50 states, but marijuana-derived CBD products are legal in only a handful of states. The FDA may need to study these distinctions further as it considers lifting the ban. Pressure from the industry and Congress has seen the FDA investigating "possible alternative approaches" to regulating CBD products. While the regulating organization has the authority to pull or ban products that contain cannabis or cannabis-derived compounds, it is exploring other options when it comes to regulating CBD. The agency said that it would continue to take action against companies that market illegal cannabis and cannabis-derived products across state borders without proper documentation and make unsanctioned claims about the therapeutic benefits of CBD products. It is the bad actors who have made this process hard with their touting of unproven health benefits and sales that put public health at risk. To get a deeper insight of the industry and the sea of change that it is going through in North America, we chatted with Keith Dolo, the CEO of Sproutly, a leading supplier of water-soluble cannabis solutions and bio-natural oils to the emerging beverage and consumables market. Q: Are CBD products safe, especially hemp CBD products? There is still much science to be done on the real impact of CBD in products and how it affects the body. The consensus is there’s more positive than negative information out there. Because hemp-derived products are nonpsychoactive, they do not cause cognitive impairments. So far, CBD has proven to be safe for people of all ages. CBD has been used to treat chronic pain, seizures, alleviate anxiety, help with insomnia, and also reduce inflammation and muscle tremors. Q: In December, hemp cultivation was legalized nationwide under the Farm Bill, but the FDA’s stance is not clear. Is this going to affect product development and growth? 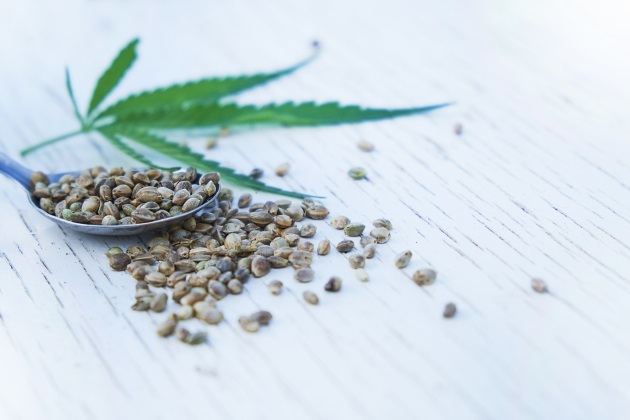 As much excitement as there was to see the Farm Bill pass, everybody looked at that as the last final step needed to have all hemp, CBD, beverages, products, and formulations widely and publicly available nationwide. But that is not the case. In fact, the stance of the FDA is not clear right now and there’s still additional steps needed to ensure that all products traveling across all borders statewide are handled correctly. The Farm Bill is a significant catalyst for the industry, but it’s not the final brushstroke needed. Many things need to be worked out still, and I think a lot of companies and consumers need to recognize that. There’s a lot of other work to be done. Q: Is CBD illegal unless it is FDA-approved? CBD itself has now been removed from the Schedule I list of controlled substances and is considered to be legal in every state in the U.S., although it is still subject to controls by the FDA and must be produced in a manner consistent with the recently passed Farm Bill. All other cannabinoids, produced in any other setting, remain a Schedule I substance under federal law and are thus illegal where state law does not specify (the one exception is pharmaceutical-grade CBD products that have been approved by FDA). What this means is that CBD products that are derived from hemp are legal in all 50 states. Q: Even with cannabis and hemp laws changing rapidly, the industry remains in a quasi-legal stage. Why do you think? Hemp and cannabis are viewed by the mainstream consumer as a similar-based plant, but they are significantly different in the eyes of the law. Cannabis remains 100 percent federally illegal and managed at a statewide level in the U.S.
Until people start distinguishing the difference between cannabis and hemp and until we can determine what products are made from one product or the other, there will always be legal issues, and people will not be clear on all the rapidly changing laws going on within those industries. Q: What do you think CBD will be most used in: beverages, food or supplements? All of the above. I believe you will see CBD in an incredible amount of consumer goods over the next 10 years, and I go back to this old analogy that 15 years ago when you walked into your grocery store, you had to search very hard to find an organic fruit or vegetable section. Now, when you go into a market, you find entire aisles that offer organic products because they have become so mainstream in North America. I predict we will see the same thing happening with CBD products. Five years from now, I think you will be walking down an entire aisle of CBD-based products and signs in every grocery store will be pointing you to the CBD section. Q: CBD is trending, but do CBD beverages/products make for a sustainable business model? I think everybody right now is just dropping CBD into their existing beverages or existing food products because it’s the talk of the town. It’s selling and gaining more traction and bringing new consumers to their product base. I think CBD should be utilized in very specific circumstances when it’s needed for an ailment or suppression of something like anxiety or sleep deprivation. Q: What will define the growth of the CBD products beyond the initial craze or fascination? What will define the growth of CBD products is the science behind it and a true definition of what CBD products are being used for in terms of a body or human ailment perspective. There’s not enough data out there for consumers, so it’s more of a craze or fascination where many people think they need CBD because they read a favorable article about it online. We need more mainstream, scientific data. But a lot of that data will not come until it is a legal product and the FDA has approved it in the U.S.
Q: Since Canada has had legalized marijuana since October, do you think the market is larger there than in the U.S.? The U.S. market is substantially larger in every category of every industry because of its population. As much as we are a large land mass, Canada is a much smaller population scattered across the country. The Canadian legal marijuana market is yet to be defined, and there are some restrictions on getting products and what those products look like to a legalized consumer market. The “grey market” is still thriving here in Canada.